2011 is already shaping up to being yet another classic year for electronic and synthpop music, especially for fans of the new-wave sound. Here are 5 new releases on Spotify that I especially rate: enjoy these offerings! A year after we spotlighted MIRRORS as ones to watch, the bright young pop noirists have finally released their debut album. Lights And Offerings is everything I’d hoped for: a classy, intelligent album, sometimes for brooding, sometimes for dancing, but full of No. 1 hit singles (if they’d been released in 1982). 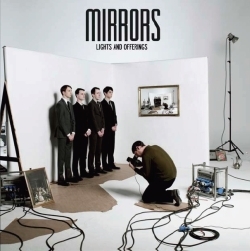 MIRRORS artistic aesthetic raises this album above the level of most of their contempories, providing gravitas and hidden depth amongst these ten wonderfully crafted pop songs. For more on this album, check out the excellent interview and review at The Electricity Club. 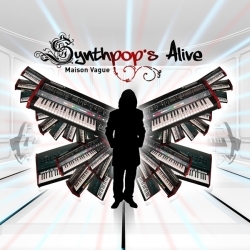 This incredibly infectious debut album from MAISON VAGUE is now on Spotify. Having worked with avant-garde singer Meredith Monk, MAISON VAGUE aka Clark Stiefel comes into the world of synthpop with impressive musical credentials. He’s put them to great use here, writing and recording one of the freshest and most enjoyable synthpop albums in many years. The Gary Numan Principle abounds throughout many of these songs, but it’s to Clark’s credit that he can take that early 80s sound and make it his own, injecting wit and humour, synthetic flourishes and catchy hooks that make this an album I listen to pretty much every day. 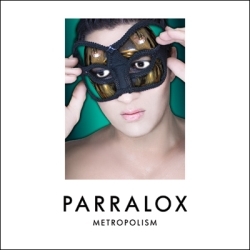 They topped our Best Of 2010 feature, now PARRALOX follow-up Metropolis with an accompanying remix album. Metropolism features 5 unreleased new songs along with remixes from Rotersand, Edge Of Dawn, Dubstar and Code 64 amongst others. The PARRALOX cover of Touched By The Hand Of God is truly audacious, simulating the Love and Dancing version of Human League’s The Things That Dreams Are Made Of with the New Order classic. Maxi-EP I Sing The Body Electric is now also up on Spotify, with 13 tracks and mixes from a host of current futurepop and darker electro acts like Angeltheory, Code 64 and People Theatre. 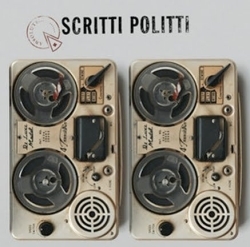 Eagle-eyed readers might have spotted an old photo of me on this blog in a SCRITTI POLITTI t-shirt. Cupid & Psyche 85 was my soundtrack album at the start of my student days, but I must confess I lost touch with Green & co. after “She’s a Woman.” This Best Of album is well-timed then, collecting 16 career-spanning songs along with two brand new tracks. Absolutely fabulous! 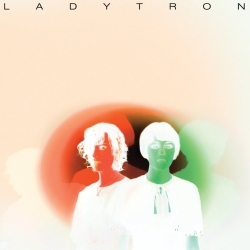 As a prelude to their forthcoming Best Of 00-10, synthpop heavy-hitters LADYTRON have just released a remix album. Featuring mixes from such luminaries as Toxic Avenger, Felix Da Housecat, Simian Mobile Disco and Hot Chip, Best of Remixes has alternate versions of all their biggest tracks, including last year’s Ace of Hz single (mixed here by Tiësto). Some mixes here are better than others, but the Spotify version of the album has lots of choice: with nine bonus mixes, that gives you a total of 17 tracks to enjoy until the retrospective proper is released.